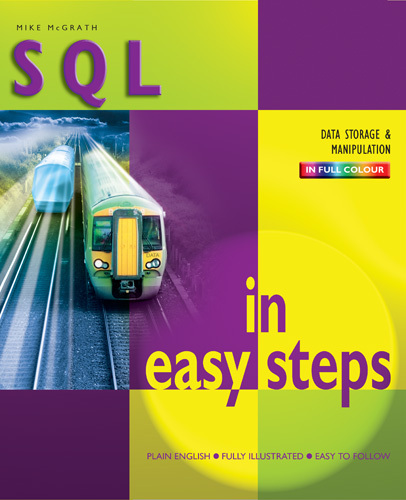 SQL in easy steps instructs the reader how to create and administer databases using the Structured Query Language (SQL). SQL is THE standard language used world-wide for database communication on all popular database software. It allows the storage and manipulation of data both on Windows platforms and on Unix-based platforms, such as Linux. The book contains exciting chapters on how to selectively extract data from within one, or more, databases and there are complete examples that illustrate each aspect of SQL. SQL in easy steps begins by explaining how to download and install the free MySQL database server on both Windows and Linux platforms. This allows the reader to establish an environment in which to develop and administer their own databases. This book makes no assumption that the reader will have previous knowledge of any programming or scripting language so it's ideal for the newcomer to SQL. Each chapter builds the reader's knowledge of executing database queries. 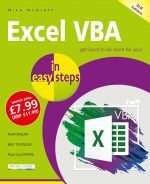 By the end of this book the reader will have gained a sound understanding of the Structured Query Language and be able to write their own SQL scripts to insert, extract and manipulate data. 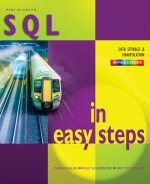 SQL in easy steps has an easy-to-follow style that will appeal to anyone who wants to begin using databases. It will appeal to web developers wanting to add database interaction to their web sites. It will appeal to the programmer who quickly wants to add SQL to their skills set. It will appeal to the hobbyist who wants to begin creating SQL scripts for upload to their own ISP. It will appeal to the student, and to those seeking a career in computing, who need a fundamental understanding of database administration with SQL. "As a complete beginner the thought of learning a new programming language was daunting. I looked at a lot of other books and none of them seemed to cater to the 'complete novice'. Then I happened to pick up this book. What I found was a clear and concise introduction to the language. The lessons are short and to the point and the scripts give a good practical way of learning. Since reading this I have been able to begin writing my own scripts and integrating them into php. I highly recommend this book to anyone who is looking to learn SQL. An excellent introduction to the basics and fundamentals of the language."